A crowd of 30,000 is expected to attend the PM's rally scheduled for 4pm on Wednesday, BJP Goa unit president Vinay Tendulkar said on Tuesday. 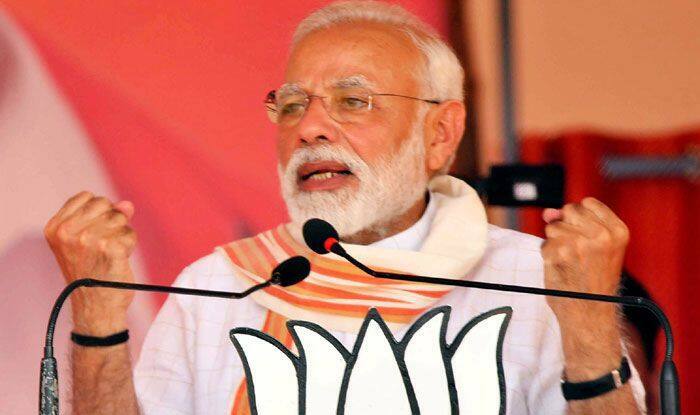 Prime Minister Narendra Modi will address a poll rally at Dr Shyama Prasad Mukherjee stadium near Panaji on Wednesday evening. Polls for the state’s two Lok Sabha seats and three Assembly seats (by-polls) will be held on April 23. A crowd of 30,000 is expected to attend the PM’s rally scheduled for 4pm on Wednesday, BJP Goa unit president Vinay Tendulkar said on Tuesday. “The capacity of Dr Shyama Prasad Mukherjee Stadium is 10,000 but we are expecting a crowd of 30,000. To accommodate the additional crowd, we will put up screens outside the stadium,” Tendulkar said. He said BJP star campaigners including senior leaders Rajnath Singh, Nitin Gadkari, Suresh Prabhu and Smriti Irani will address meetings in North Goa and South Goa Lok Sabha seats in the state. The BJP has fielded sitting MPs Shripad Naik from North Goa and Narendra Sawaikar from South Goa Lok Sabha seats. Its candidates for the Assembly by-polls are Subhash Shirodkar from Shiroda, Dayanand Sopte from Mandrem and Joshua D’Souza from Mapusa. They will be pitted against the Congress’ Mahadev Naik, Babi Bagkar and Sudhir Kandolkar respectively. The opposition Congress, meanwhile, is yet to release its list of star campaigners. “We will have our central leaders arriving in the state for the campaign. We will release the list in the next couple of days,” Sunil Kawathankar, the party’s Goa chief spokesperson said. The Congress has fielded state unit president Girish Chodankar from North Goa and former MP Francisco Sardinha from South Goa.